Melbourne [Australia], Feb 19 (ANI): New Zealand’s White Ferns captain Amy Satterthwaite is strong-willed that absence of Coach Haidee Tiffen will not hinder the focus of her team ahead of the forthcoming ODI series against Australia, starting February 22. Melbourne [Australia], Feb 7 (ANI): Former Australia skipper Alex Blackwell has been named to lead Governor-General’s XI to take on New Zealand’s White Ferns in the 50-over game at the Drummoyne Oval on February 28. Wellington [New Zealand], Feb 5 (ANI): India Women team heavily depended on spinners in the middle overs and they have not disappointed in the series against New Zealand’s White Ferns, ODI skipper Mithali Raj said on the eve of the three-match T20I series, beginning on February 6. Dubai [UAE], Jan 10 (ANI): New Zealand batters Katie Perkins and Lauren Down have been recalled for the upcoming ODI series against India, which will also be part of the ICC Women's Championship. 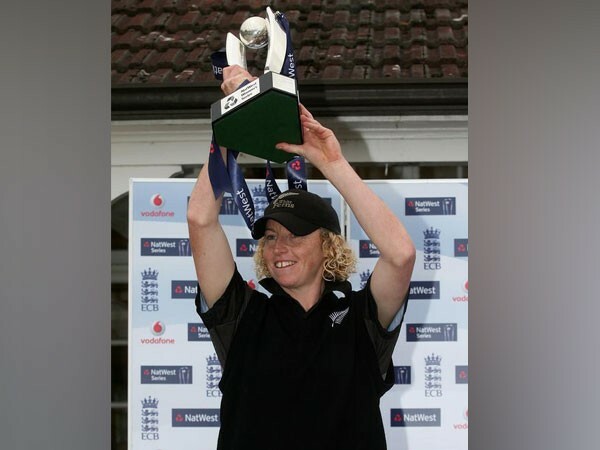 London [UK], July 7 (ANI): A big win over the West Indies pushed New Zealand back into the top four after four games at the ICC Women's World Cup but captain Suzie Bates knows that every game is crucial ahead of Saturday's clash with Pakistan.